There have been many books written on the subject of obesity, but most have approached the topic from the standpoint of the nutritionist, concluding from the somewhat fallacious evidence of changes in body mass that exercise has little place in the prevention or the treatment of obesity. This new volume, written by an exercise physiologist, approaches the topic through a thoughtful lens, suggesting that regular physical activity plays an important role in preventing the development of obesity, is a valuable adjunct therapy in the treatment of the established condition, and makes a solid contribution to the maintenance of weight loss once target weights have been achieved. In addition to detailing evidence that supports such a conclusion, the text offers a unique perspective on obesity over the ages. It evaluates methods of determining body fat content that are appropriate to field and epidemiological studies, and it looks at the timing and aetiology of the recent obesity epidemic. It also considers the diseases associated with obesity and the resultant medical costs, attempting to disentangle the respective contributions of a sedentary lifestyle and the resultant accumulation of fat to the observed patterns of ill-health. Other sections of the text suggest that adipose tissue has important functions beyond the passive storage of energy, and looks critically at the excuse of "bad genes" that some people plead to explain their excessive body weight. 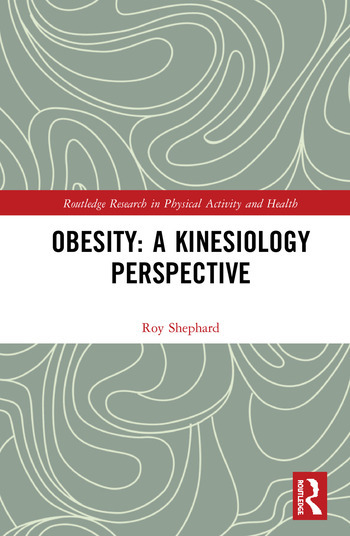 Obesity: A Kinesiologist’s Perspective should thus provide helpful information and be a key resource for students and researchers alike in bariatrics, kinesiology and nutrition as well as the related disciplines. Roy J. Shephard is Professor Emeritus of Applied Physiology in the Faculty of Kinesiology and Physical Education at the University of Toronto, Canada. He was Director of the School of Physical and Health Education (now the Faculty of Kinesiology and Physical Education) at the University of Toronto for 12 years (1979–1991), and he served as Director of the University of Toronto Graduate Programme in Exercise Sciences from 1964 to 1985.